Shoe shopping for men too! 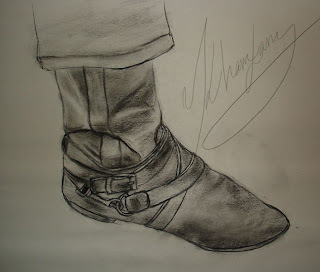 When I think about fabulous shoes, men’s shoes are certainly not the first that come to mind! Men and their shoes conjure mental pictures of tennis shoes, Birkenstocks worn with socks, boring oxfords, etc. Shopping in Florence for men’s shoes has given me a whole new perspective! In the warm months when the Italian men occasionally wear beautiful linen shorts, they don soft leather loafers with no visible socks. We women must make this a cause celebre for other nations of the world! No more tennis shoes and Birkenstocks for our men in the summer months…..You see photographed a new convert to the Italian shoes for men. Note the happy smile of a man who has overcome the fashion faux pas of bad shoes with shorts! And while I am on the subject of men’s shoes, I need to mention the gorgeous suede driving moccasins I just saw in navy blue, black, brown, tan and many other colors. The dress shoes here in Italy for men are absolutely gorgeous too. And they wear dress shoes with jeans as well as suits. No wonder we women love to gaze at the Italian men. It is all about the shoes!!! What a great time we had on the shopping tour Saturday! Especially fun clients, who found just the things they wanted: leather jackets, gold jewelry, bags and a bottle of Brunello wine afterwards! Only problem is that they bought the gold earrings I have been lusting after, and the last pair! But just look at their happy faces. If, like me, you are a confirmed shopaholic, please be aware that the fall fashion and leather in Florence is potentially dangerous to your retirement fund, and/or your children’s college tuition…. I have had a sneak peek and am salivating as I write. If I had to hone it down to one item, it would be BOOTS!!! Flat boots, suede boots, boots with embellishment, boots that just make you want to cry they are so gorgeous….And don’t even get me started on the leather jackets and handbags. I have my eye on a soft cream leather jacket in a 50’s style, with jewel length sleeves and a stand up collar. I see myself wearing it everywhere, even to bed! No pictures allowed yet, but as of the first week in September, I will post tons! Until then, I wish you a beautiful August! The only thing that would have made this better, would have been my big, handsome husband with me! Never one to let a shopping opportunity pass me by, the next morning after we had been to the beach, showered and checked out of the hotel, we stopped by a few little shops. Bought a wonderful beach towel that is not terry cloth, but waffle cotton. So much easier to travel with, as it folds up small, and yet it is still great for absorbing water. Also bought a sun hat and a beach pillow that doubles as a floatation device. Perfect for bobbing in the surf while tanning the backside! Because don’t we all hate lying on the stomach to tan? Especially after negroni and fried seafood….We think we may go again next week to the beach, as Florence is getting way to hot! La dolce vita sulla spiaggia!!! Dangerous, dangerous job this shopping tour! I see all of the gorgeous leather: jackets, boots, shoes, bags, gloves, belts. 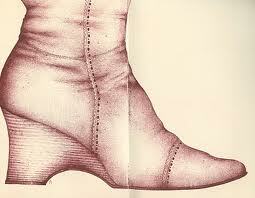 And the Italian fashion is so beautiful. I love the small shops with the local designers clothing. Hey, you can buy Gucci, Pucci, Prada, etc. anywhere, and for less money than in Italy! 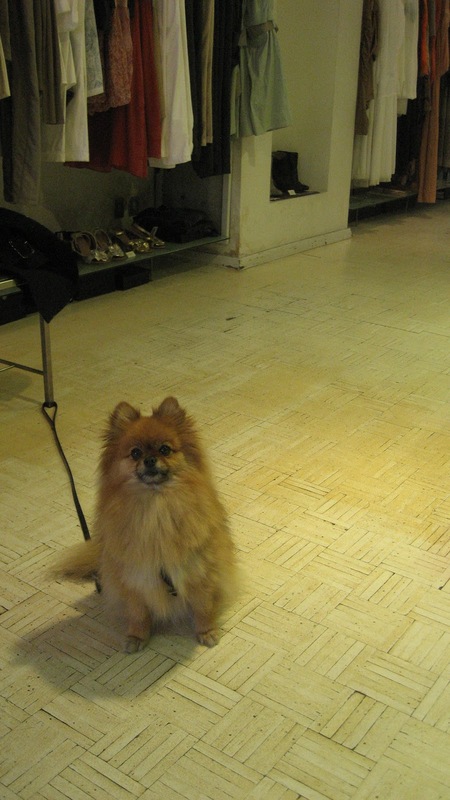 Chia loves to shop in Florence with me. Yesterday, after having done three tours this week, I broke down and took myself shopping. My husband actually suggested this, as an alternative to my going alone through Napoli to the Amalfi Coast to see my bff, Katherine! What a guy! 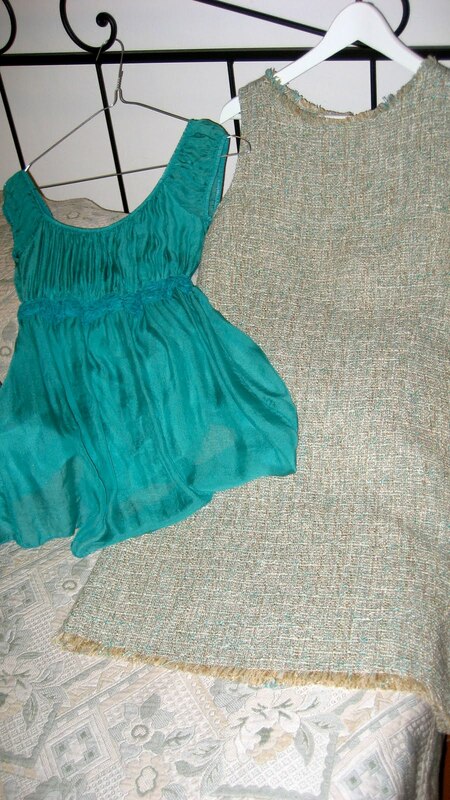 I bought a beautiful boucle dress, a green silk top, and a casual pants outfit (crisp polished cotton pants and a floaty top with matching camisole) for the Friday evening soirees at Chez Wells. Oh yes, and a pashmina to wear with the pants outfit. This season there is lots of coral and green to choose from, as well as the neutrals and black. I love green, as you can see from the photos below…. As I sit here in yet another green dress, I am thinking that I might need to revisit some shops and consider some coral color….. Incredible storms with the loudest thunder I have ever heard! Chia and my shopping clients and I got soaked! 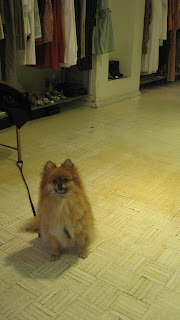 Nice salesman in one of the stores dried Chia off while we shopped for leather jackets. Things have settled down today, but there are predictions of more storms to come….At least next week the sun is supposed to be out again.